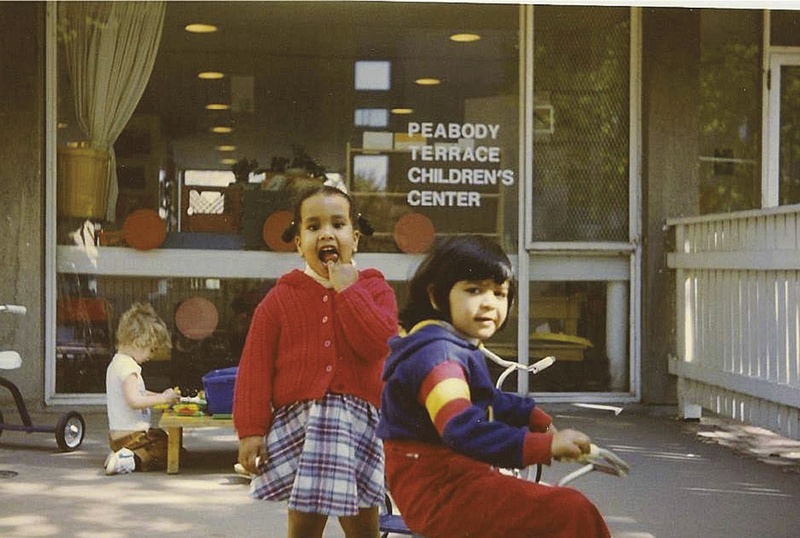 Peabody Terrace Children’s Center celebrates a golden anniversary. 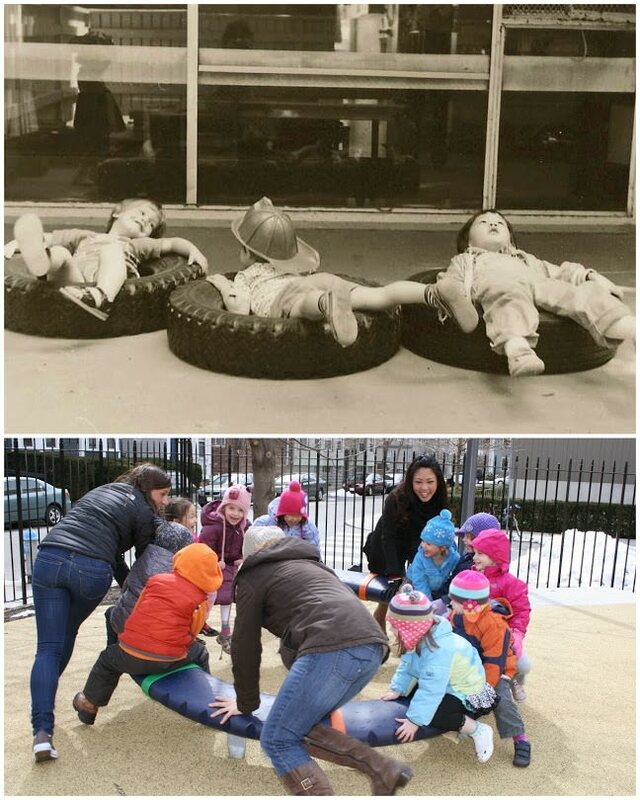 Photographs taken at the Peabody Terrace Children’s Center during the last five decades reveal the timelessness of children’s play and their love of the outdoors. Architect Josep Lluís Sert designed Harvard’s married-student housing complex, Peabody Terrace, which opened in 1964, as a modern neighborhood. The quadrangles offer plenty of outdoor spaces, some with views of the Charles River, for playing and picnics. Common rooms encourage social gatherings. Elevators geared to stop at every third floor opened up more space for larger units on the other floors, and enabled tenants to meet each other more easily while coming and going along corridors and stairwells. The event was spearheaded by one of the PTCC founders, Susan Riemer Sacks, an adjunct professor of psychology and professor of education emerita at Barnard, who contacted many former families and also invited Klein, her colleague, to speak. Sacks recalls moving into Peabody Terrace in September 1964 with her husband, Sanford J. Sacks, M.B.A. ’66, then at the Business School, and their two-year-old, Lauren. It was still a “mud pit” of new construction, she says, smiling at the memory. The PTCC is still run by a parent advisory board, but has grown to serve 80 children daily with a staff of 38. 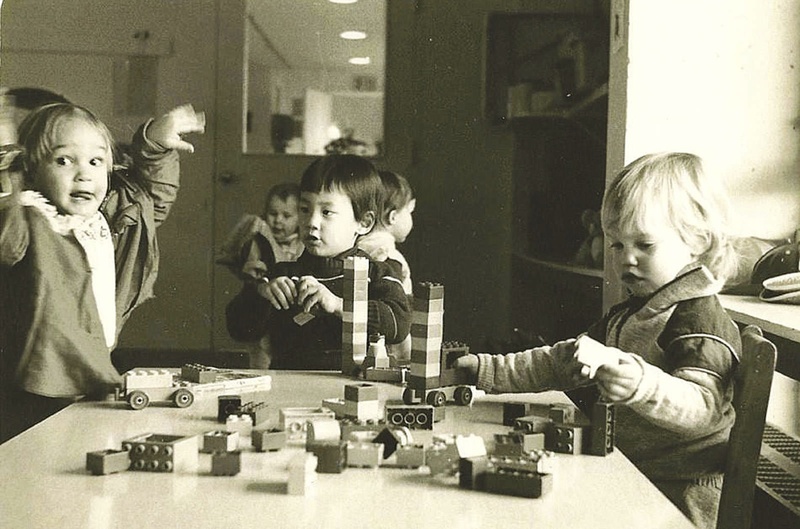 It is one of six childcare centers at Harvard that together enroll about 380 children of faculty, staff, and students: each center is operated as its own independent nonprofit organization, but Harvard pays for the facilities and utilities. “What’s fascinating is that each center has its own unique culture, history, and birth story, coming from different constituents,” according to Sarah Bennett-Astesano, Ed.M. ’08, assistant director of the University’s Office of Work/Life. She researched the history of childcare at Harvard and wrote a 20-page report and chronology as part of her master’s degree work. Childcare first existed primarily on the Radcliffe campus in the 1920s and 1930s, she reports, “as a way to give young women summer employment.” The first more formalized “day nursery” opened at the Phillips Brooks House in 1941, and evolved throughout that decade “as a way to support families when dad was occupied with the war and mom was probably working.” The close of World War II brought an influx of veterans with families to Harvard, which prompted the expansion and move of childcare services, in 1946, to two Quonset huts on Kirkland Street that accommodated 40 “baby-boom” children (there was a waiting list of 200). 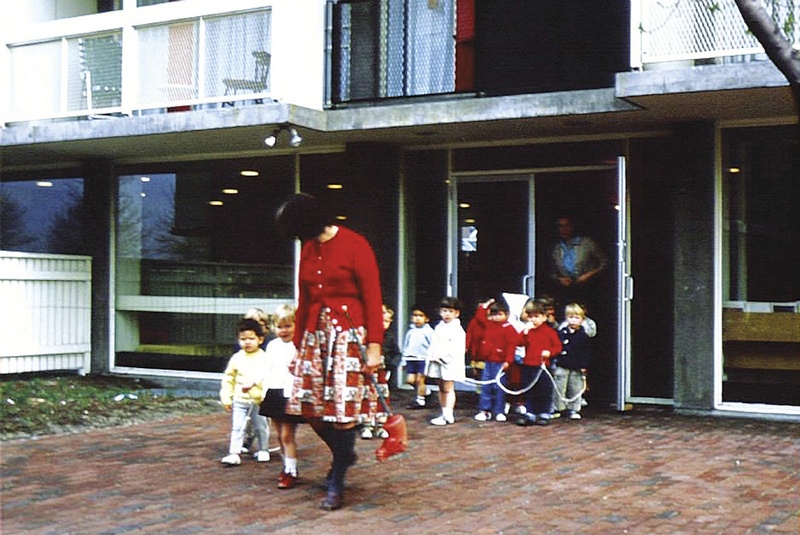 After piecing together scant records, Bennett-Astesano says it appears that “for most of the 1950s and early 1960s, there doesn’t seem to [have been] any childcare operating on the Harvard campus.” But the mid 1960s brought a wider push for care, which, she says, began to be viewed as an important factor in women’s professional development—and liberation. For PTCC director Katy Donovan and those who gathered in April, the center and its history highlight the importance of supporting family life, especially at a university. “These centers bring people together—faculty, staff, and students—on an equal playing field,” Donovan says. 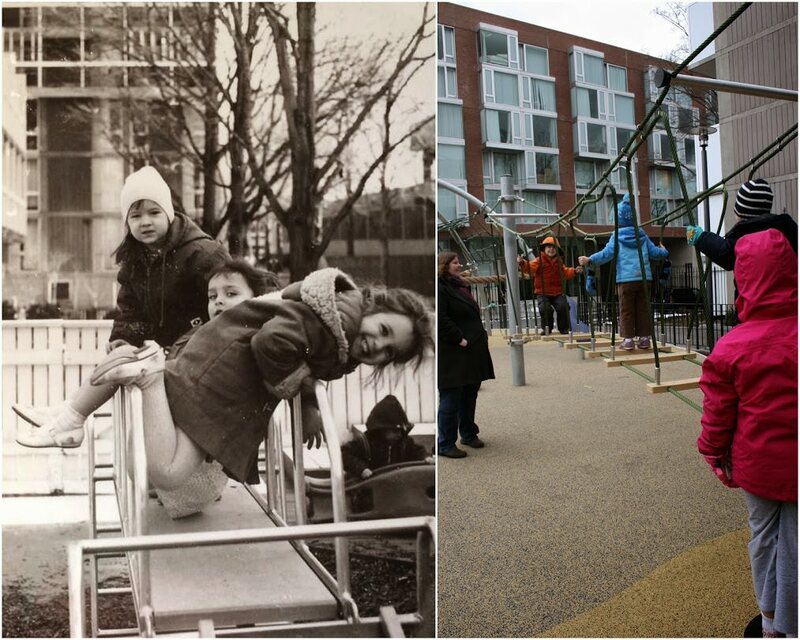 They also help connect families who come to Harvard from vastly different cultural and ethnic backgrounds. She has seen children who spoke no English when they arrived talking and playing easily with friends by the time they left. Even parents from opposite sides of political divides, who might not have engaged with each other otherwise, Donovan adds, have grown close, even asking about each other’s grandparents who were still at risk at home, such as during the Lebanese and Israeli conflicts of 2006.